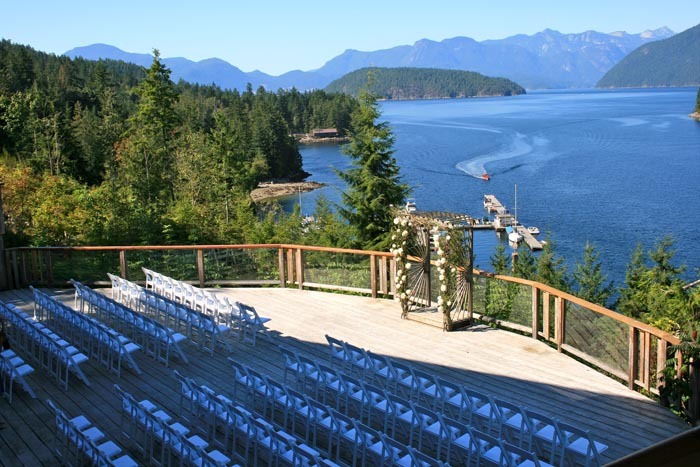 High up on a craggy granite bluff overlooking forests, inlets and islands, the Lodge offers a magical setting for your special day. 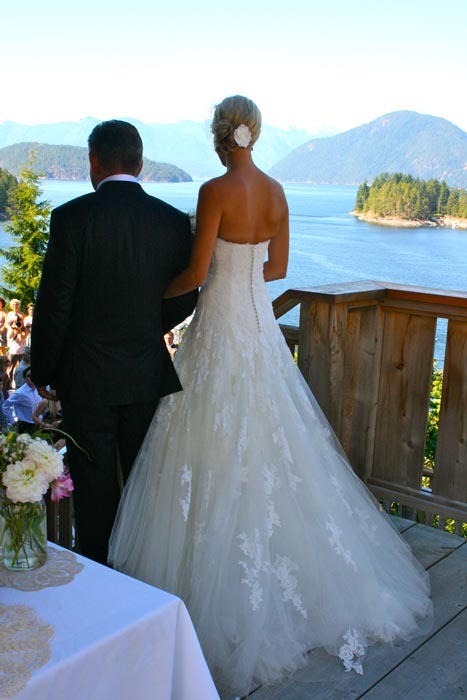 Our spectacular views and wilderness setting ensure memories that last a lifetime for you and your guests — along with the privacy of dedicating an entire resort to your wedding day. The Lodge was built to host closely-knit groups for special occasions. With just twenty rooms and suites, we promise an intimate atmosphere full of romantic moments. 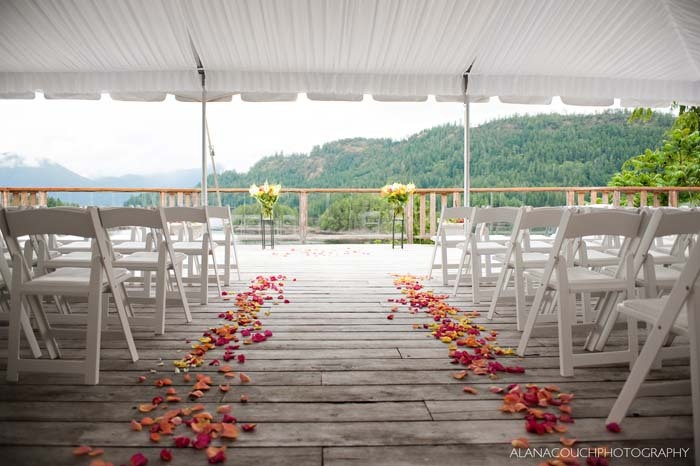 Our majestic decks and dining room, cozy accommodations and exciting wilderness adventures make the Lodge a unique destination wedding resort on the Sunshine Coast, British Columbia. A full-service wedding coordinator will make sure every detail is taken care of — the ceremony, reception, evening entertainment and everything else! Share your wishes for your special day with us and we can make them a reality. 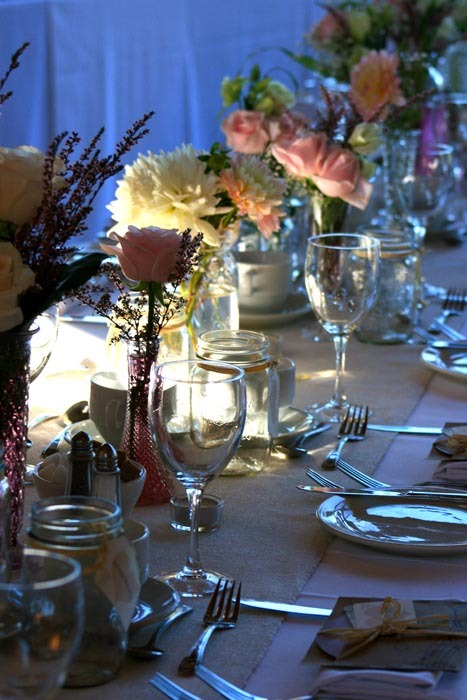 If you would like to reserve a date for your wedding, please contact us by phone or email for more information. 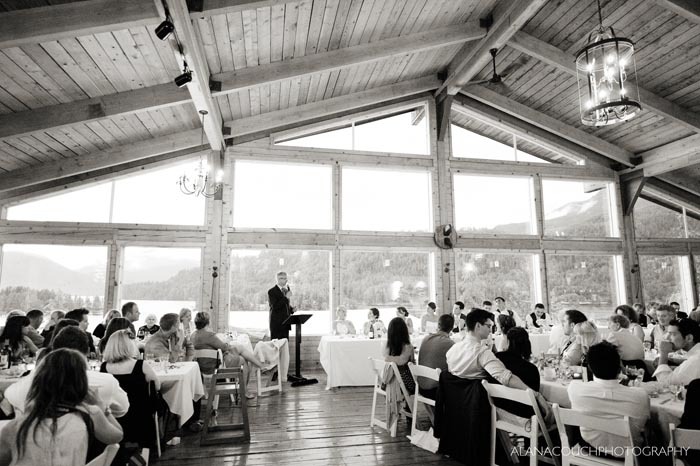 Weddings at the Lodge are very popular and we recommend that you book early to reserve your preferred date. Please let us know if you have any questions or if we can assist you further in any way. We look forward to making your wedding a truly unforgettable experience. 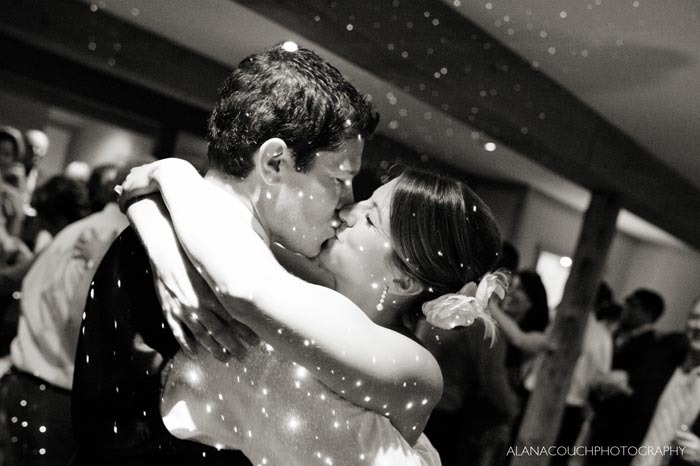 No two weddings are the same, and we promise to treat your wedding as if it were our first. 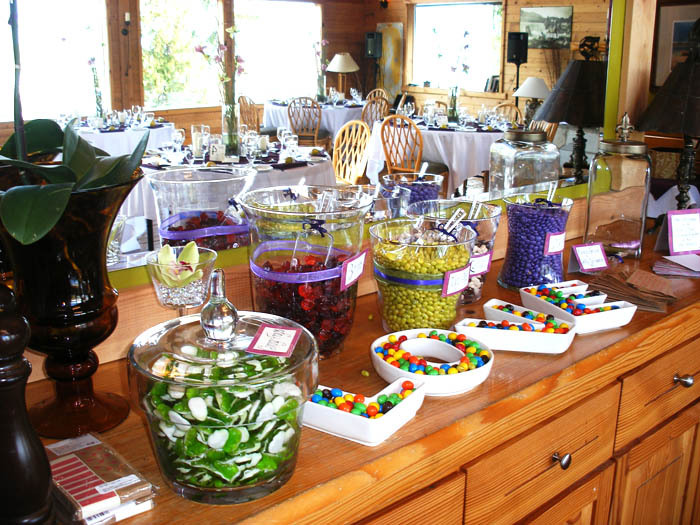 Your party has complete and private access to all of our facilities, including the guest lodges, dining room and social lounge, the decks, cliff-side hot tub, private beach and forest trails. 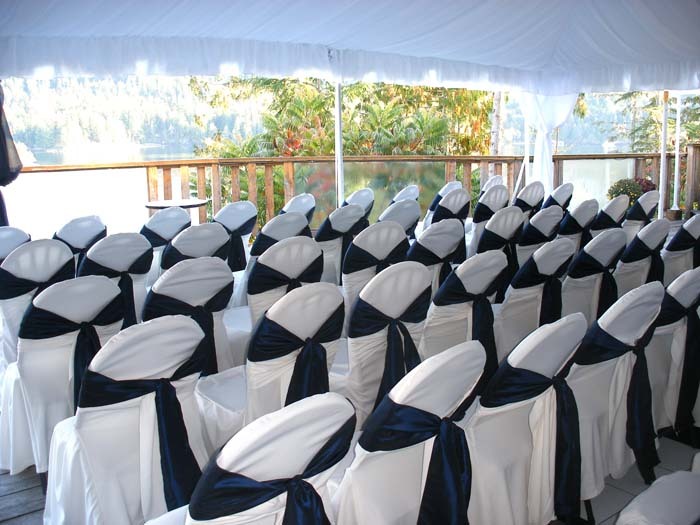 The Lodge becomes your private resort as we do not accept any non-wedding guests. We are pleased to offer an extensive food & beverage program that features the freshest West Coast selections. Start your wedding weekend out with a relaxed meal for friends and family. We specialize in a traditional and delicious rehearsal dinner with a barbeque on the deck Celebrate a time of sharing ï¿½ with sparkling stars overhead and magical ocean phosphorescence at your feet.